Imports and exports petrochemical products. State-owned enterprise in China engaged in the import and export of a wide range of chemicals, plastics, coatings, and associated equipment. Import and export of organic and inorganic pigments, fine chemicals and other chemical materials used in coating, oil paint, pesticide, detergent and timber preservative. Import, export, indenting as well as import indenting services for chemicals, bulk drugs and pharmaceuticals, dyes and dye intermediate from India. Specializes in import and export of organic and inorganic chemicals, medicine, pesticides, dye intermediates, feed, food additives, and other refined chemicals. Product specifications and enterprise introduction. Promotional agency based in India involved in direct export of agroproducts, textiles, and chemicals. Offers a wide range of specialized services to the export and import community. International importer and exporter of organic chemicals, pharmaceuticals and intermediates, pesticides, pigments, dyestuffs and intermediates, rubber and plastics articles, and inorganic chemicals. Distributor of specialty chemicals and plant antibodies, chemical sourcing, contract manufacturing, import export consultation, hazardous chemical labeling, chemical registration and chemical transportation. Engages in the export, import, and distribution for a broad range of inorganic, fine and speciality chemicals. An Iran based company specializing in the import and export of petroleum derivative products, petrochemicals, chemicals, and minerals. Handles the import and export of industrial chemicals, dyes and pigments, intermediates. Company profile, product catalogue. 14 Wah Tat Development, Ltd Hong Kong. Hong Kong. Import and export of textile fabrics for apparel, bedding and furnishing. Also, decoration materials, chemicals and general merchandise. China. Import and export of PVC coated tarpaulins and cotton canvas fabrics, and woven, nonwoven and plastic extruded geotechnical products. Also, chemicals, welding accessories. Chinese importer and exporter of chemical intermediates, fine chemicals and food additives. Includes company profile, product catalogue, and contact information. US arm of a global import/export, trading, and distribution network, involved in the production of organic and synthetic chemicals, CCTV security products, multimedia computer peripherals, commercial floor coverings, plastics and resins. Philosophy is to help companies over the world to post their products to the web to promote sales. Import, export, and product categories. Import and export Mexican produce, including chillies, spices, cereals, snacks, corn husk, and seafood. Locations in Mexico and California. Import export of machine parts of European and American origin. Tools and contacts to export and import in the agricultural business. If the business hours of East Town Petroleum & Chemical Limited in may vary on holidays like Valentine’s Day, Washington’s Birthday, St. Patrick’s Day, Easter, Easter eve and Mother’s day. We display standard opening hours and price ranges in our profile site. We recommend to check out easttown.com.hk for further information. 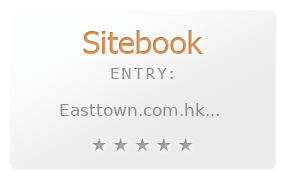 You can also search for Alternatives for easttown.com.hk on our Review Site Sitebook.org All trademarks are the property of their respective owners. If we should delete this entry, please send us a short E-Mail.